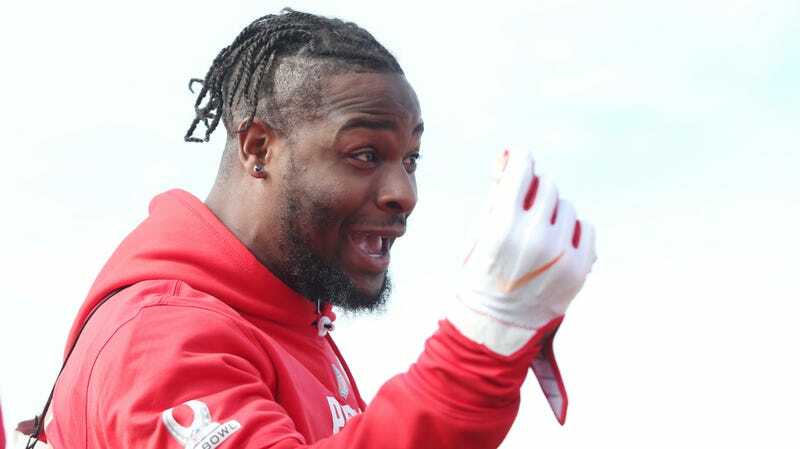 Steelers star running back Le’Veon Bell skipped the entirety of training camp for the second year in a row, and with good reason. He’s been one of the best players in the league for almost his entire career, and the Steelers have refused to reward him with a longterm contract, instead choosing to use the franchise tag on him multiple times. Last summer, Bell ended his holdout in time to practice with his team before Week 1. This year, he’s pushing things a little further. This all but rules out Bell playing in Week 1, which may be the point. As long as he shows up by Friday or Saturday to take a physical and sign his franchise tender, he’ll earn his Week 1 game check while being spared 20-30 touches worth of NFL punishment. Given how the Steelers have treated him—he led the league with a truly insane 406 touches last season and still couldn’t get paid—it makes sense for him to try and get through this season with as little wear and tear as possible so that another team will give him a big contract next offseason. This won’t be anyone’s idea of an inspiring swan song, but it’s the one the Steelers deserve.